Baxter, a global leader in nutrition therapy, has introduced a complete line of enteral syringes with an ENFit® connector and ENFit® compatible accessories to enhance patient safety. In support of the global ISO 80369-3 initiative, Baxter has designed a line of enteral syringes with an ENFit® connector that prevents misconnections or wrong-route administration, which can cause severe patient injury. Ensuring patients have safe access to nutrition therapy is Baxter’s driving focus and our enteral ENFIT product line will help us reach this initiative. For more details on our enteral ENFIT product line, please go to our product website link below. As a charter member of GEDSA, Boston Scientific is committed to patient safety. Learn more about the transition to Enteral Feeding Devices with ENFit Connectors and current product availability. CAIR LGL designs medical devices and offers customized solutions tailored to patient populations and healthcare professional needs. We contribute on a daily basis to the market introduction of the new safe enteral connector ISO 80369-3: ENFit®. Get more information on the new NUTRICAIR Enteral range with ENFit! Please contact your local sales representative for more information. 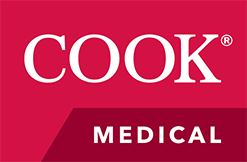 Cook Medical is committed to enhancing patient safety by reducing potentially harmful misconnections between medical devices. We support the initiative to transition from the Luer-type connection on enteral feeding devices to the ENFit connection that meets the ISO design standard. To determine where Cook products are in the transition, please contact your local Cook sales representative. The new Dale ACE Connector® supports a closed enteral system fully compatible with the ENFit™ ISO 80369-3 standard. GBUK Enteral Ltd is the UK’s leading enteral feeding device company. Our comprehensive ENFit™ range and dedicated support team provide the best in enteral feeding technology for healthcare professionals and their patients. Halyard Health, “Your Preferred Enteral Partner,” delivers clinically-superior products and remarkable service to improve patient’s well-being—and we are ready to meet your need for ENFit™ Connectors. Medela’s full line of Neonatal Solutions include milk storage, waterless warming and enteral feeding, supporting the global neonatal community since 2014. The Medela Enteral Feeding System offers a versatile, infant-focused solution that includes syringes, extension sets, feeding tubes and enteral accessories specifically tailored to meet the needs of even the most demanding NICUs. At Medela, our highest goal is to ensure patient safety. As a GEDSA Associate Member, Medela has adopted the ENFit enteral feeding connector, not only to meet patient safety goals, but to also allow facilities ample opportunity to make the transition from previous connectors to the new ENFit connectors. Medicina, leaders in enteral delivery, present their new ENFit range of syringes, feeding tubes and accessories. Medicina are committed to providing a complete, safe and affordable enteral system. Medline is a leading manufacturer of medical device supplies serving hospitals, nursing homes, and home health agencies. Medline supports the transition to ENFit and is committed to facilitating a safe transition to the new ISO 80369-3 standard connectors. 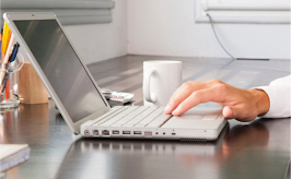 Cardinal Health, in collaboration with companies across the industry, has helped to develop the ENFit Connection System and the Stay Connected Initiative. By adopting ENFit connections, the complete Kangaroo™ portfolio will have the added safety of an internationally accepted standard for safe enteral connections. Moog Medical manufactures and distributes the EnteraLite® Infinity® and Infinity® Orange® Low Volume Enteral Feeding Pumps. Delivery sets used with these pumps include the ENFit® connector system with transitional stepped connectors. At Nestlé Health Science we are committed to offering healthcare professionals and caregivers superior products, evidence-based protocols, and business solutions that improve patient outcomes. We are excited to continue on of innovative products and services that bring value to patients and customers in a rapidly evolving healthcare landscape. We are Nutricia. We believe in the power of nutrition to make a positive and proven difference to health; our expert understanding of nutrition means we have an important role in making this happen. We focus our time and energy on developing and delivering new nutritional solutions to meet both existing and emerging health needs. Our nutritional solutions are tailor-made to meet the specific nutritional needs associated with a variety of diseases and conditions. Qosina, a global supplier of thousands of stock OEM components and a member of GEDSA, values patient safety, which is why we offer an extensive line of ENFit™ products. Visit our ENFit Page for male and female ENFit™ connectors, caps, stepped adapters, Y connectors, stopcocks, syringes, spikes and adapters. Qosina will continue to add more ENFit™ parts as the ISO 80369-3 standard develops. Devoted to a green earth and healthy life, Ucomfor offers the new ENFit connector on our enteral feeding products. Click the link below for information and complete product line. Vesco Medical currently offers a number of products with the new ISO standard ENFit connectors. At Vesco Medical, we are committed to continuously providing quality products, for more information check out our Quality Commitment. Because patient safety and best care must be on the top priority, Vygon commits to provide a safe and secure enteral feeding system for every patient. Learn more about our product offer.